You may remember that we launched the new BourbonHunt site last summer as a way to add more features for the Bourbonr readers. As I’m sure, you’ve noticed, nothing about Bourbonr has changed nor will it change in the future. 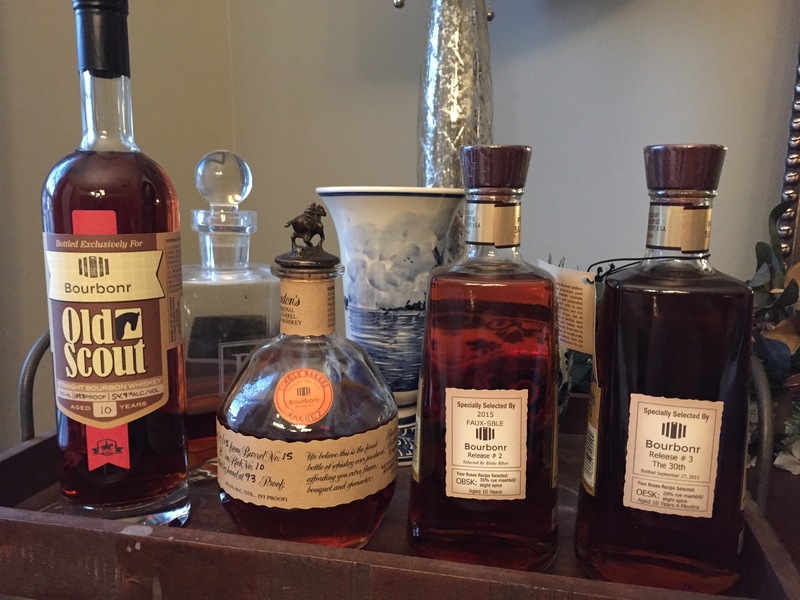 BourbonHunt and the “pro” membership is a completely separate site with its own benefits. I greatly appreciated everyone that decided to support Bourbonr with a “pro” membership. After seven months I’ve decided to reopen membership. Why now? BourbonHunt was a new idea that I wanted to make sure it worked and everyone was happy with the experience. I’ve learned a lot and decided there’s room for a few more people to join and still receive plenty of benefits. The main attraction is the Bourbonr barrel picks. Due to a limited number of bottles, there are a limited amount of BourbonHunt spots available today. SOLD OUT! There are 60 bottles of Bourbonr Four Roses OESK available for purchase by new members. First come first serve. It wouldn’t be a Bourbonr (re)launch without a giveaway. 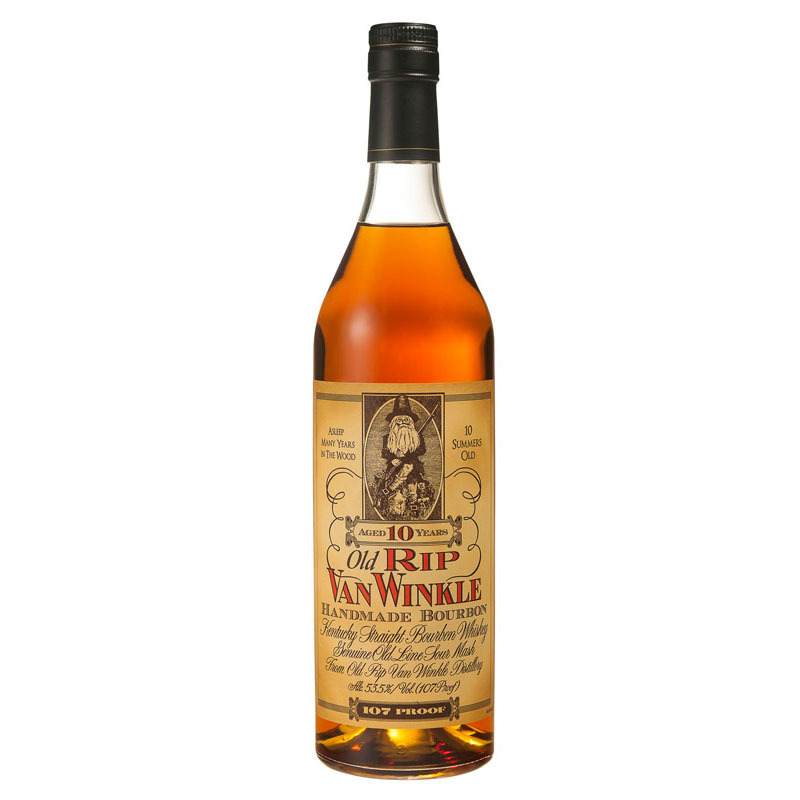 One lucky member will receive an Old Rip Van Winkle 10 year for FREE! Finally, February 17th was World Cholangiocarcinoma Day which is a rare form of cancer that affected my family this past year. 10% of all new memberships will be donated to The Cholangiocarcinoma Foundation. Private barrel bottles: Four Roses OBSK and OESK, Blanton’s and Smooth Ambler. Free copy of all Bourbonr digital products. Unfortunately, Bourbonr Pro is full. If you add your email address below we will let you know if spots open up. Thanks! Looks like you’re in the clear with NC. Obviously if that changed I would refund your money. Thanks! So for those of us living in the listed states, there is no access to the private barrel bottles or any bourbon samplings? Unfortunately, I suggest that you don’t sign up unless you can have it shipped to a neighboring state. Missing out on the main benefit just doesn’t make it worth the price. my bad, it is a list of states you “can’t” ship to………….long day! I receive wine club shipments in TX? Is this separate legislation that stops this? Sorry to hear your family was affected by cholangiocarcinoma. I lost my father to it three years ago. Thank you for donating to the cause. Can you ship to Canada? I’m in Tx, can I have bottles shipped to a different state? Also…is it possible to pay the connoisseur level monthly? Or in 2-4 payments? I want in! Thanks! Just thought I’d post that I joined Bourbonr Pro this year and am very happy with it. Thanks Blake for making a great program. I’ve only bought 1 each of every bottle offered but they’ve been fantastic. I’m about to run out of Blanton’s so if there’s any more of that left, let me know! I also have enjoyed the samples and communications. It’s a great program. Blake I enjoy reading your pearls of bourbon wisdom immensely! I am very interested in joining, however, I live in Chicago and it does not appear that I would receive the actual whiskey benefits of joining. What are the options for me? Ditto for me. Any idea why IL was off the list? If Illinois is on the List I would be in. Blake, just to be clear is the pitch here for “new” members, or is this the annual “renewal” membership reminder? I joined Boubonr Pro and thought it was a waste of money. Maybe sour grapes, but I didn’t win any free samples nor any chances to buy rare/allocated bourbons. I purchased the Bourbonr Blantons and Smooth Ambler bourbons… both are good bourbons… but both were more expensive than the same products I could find locally. Access to private trading group and forum is a nice concept, but let’s be honest, there’s maybe one post per month about a bourbon found on a website that is inevitably either sold out or super pricey, and there seems to be zero trades happening. It’s disheartening when you follow the Bourbonr blog, IG, Twitter, etc. and see Blake’s access to bourbon, but not see the benefits of being a Bourbonr Pro. I wish Blake all the success in the world building the Bourbonr brand and enjoy reading his thoughtful bourbon analysis, but going forward I won’t be participating in subsidizing it. Hey Blake, wow – appreciate the response and the offer to reach out. Just emailed you. Is there adeadline for open enrollment? Yes, it will close Friday. What’s the average price of a Bourbonr barrel bottle sold through this program? Where do I find the discount code? I just signed up and the price for the Four Roses is $79. If my billing address is in a no ship state (PA) will I have ability to add a shipping address separately in a ship to state (MD or DC)? I am from Canada, and I am interested in signing up, however I don’t think I would get any of the actual whiskey benefits. Which membership option would be best for me? Can u ship to michigan? For new members, is it possible to ship to Ontario, Canada? Do memberships need to be paid up front or is it on a monthly billing cycle? I am in WA State, is it just the barrel programs that can’t ship to WA… Or is it all shipments (samples if I did the top tier)? I’m also in Washington State…and get bottles shipped to me all the time. I wonder what the difference is? Otherwise, I’d join in a heartbeat. I’m checking on Washington now. I’ll report back. Good news. They can ship to Washington! Can you ship to Illinois? Yes, they can ship to Illinois. I initially thought they couldn’t but I called the owner and he can. Can you quantify sample size- eg.375ml ? Blake, not sure if you saw my above question. I am in WA State… is it just the barrel programs that can’t ship to WA… Or is it all shipments (samples if I did the top tier)? I didn’t think you could ship to Georgia. I’m I wrong about that? If you have a good resource, would you mind checking on Montana? As far as I know, shipment of hard liquor is illegal. They’ve made some changes for direct shipment of wine, and its possible to get a connoisseur’s license for beer, as long as they are coming directly from the winery or brewery, respectively, but I don’t believe they have anything similar in place for whiskey. I’d like to buy membership for my husband for his birthday. I clicked subscribe and it went straight to PayPal login. Will I have a chance after that step to out in hubby’s info? Can you ship to DC? i guess australia is out too..
How large is the monthly sample? Are the private barrels at barrel proof? Just read today’s email solicitation for Pro and it said still some 4 Roses OESK remain. Immediately signed up, paid and clicked the link to the Liquor Store. Couldn’t find the 4 Roses, went back to the email, clicked the link to Pro and, of course, the message now reads that the OESK is sold out?. Any consolation prize or indication of when the next allocated single barrel will be available? We’re working on a consolation prize. However, a Barrell Bourbon pick should be available shortly. Damn! Four Roses sold out! I didn’t think they’d go that fast. Hey Blake a year passes how about opening up the membership again?